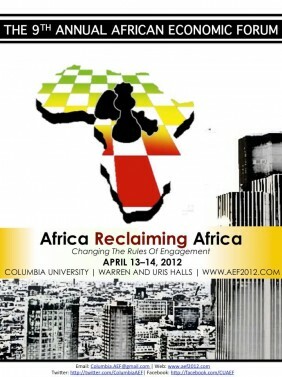 On Friday and mostly on Saturday, April 13-14, 2012, Columbia University's School of International Policy held the 9th Annual African Economic Forum. Nick Tattersall, Knight-Bagehot Fellow in Business and Economics Journalism at Columbia University, introduced the first keynote speaker: Sanusi Lamido Sanusi , Governor of Nigeria's Central Bank. Mr. Sanusi hails from Northern Nigeria; on Wikipedia, he is called "Mallam" ("learned" or "teacher," from the Arabic language), as he is also an Islamic scholar---probably a rarity in the banking world! He spoke softly (a little too softly for some of us, as the microphones were not working too well on the first day of the Forum) and couched his words carefully; however, his goals for Africa in general, and Nigeria in particular were quite clear: self-sufficiency leading to prosperity, and independence from foreign economic interests. I cannot, of course, provide here the full speech; however, I'd like to lay out some of the main themes and subjects he covered. 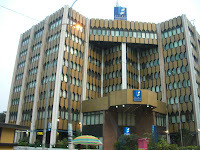 Nigeria is the second largest economy in Africa (after South Africa). However, the crucial agricultural sector has been neglected and is inefficient, despite Nigeria being the world's top producer of cassava. Rice is being imported from India--lower quality rice--as well as other agricultural products. Nigeria used to export palm oil and cocoa. Malaysia took palm seeds from Nigeria and now is a major exporter of palm oil, exporting to Nigeria. Textiles also are largely imported from overseas. Africans should be selling textiles to Africans, and not importing them from China. African countries should be competing within the continent for African markets. A country preached free trade when it can compete; however, this is not the case in Africa. Africa exports almost exclusively raw materials; to those who do not consider China a colonial power, consider that colonialism is access to raw materials. The audience laughed--even if it was a forced laugh--at the sarcastic statement; "China thinks of China's interest; India thinks of India's interest; Africa thinks of Europe's interest!" Rather than exporting cotton, Africa should produce textiles. Cassava and tomatoes, for example, could be processed. Crude oil should be refined and transformed into petrochemical products. Africa must move from the primary to the secondary sector in order to develop. No country has ever developed from exporting primary products. The future should be that China will compete with Africa, rather than continuing the current status. (Regarding the oil subsidies, recently cancelled in Nigeria) These subsidies make no sense for the country's well-being. They have encouraged Nigerians to buy second-hand cars, clogging the roads with traffic; and the cheap gas is illegally sold to other countries, gas stations dotting the border towns even when hardly anyone lives there. Trucks fill up with gas and cross in Benin, Cameroon, and other adjacent countries. The Nigerian government, in this case, is subsidizing other countries' gas consumption, rather than using these funds to build the country's infrastructure and invest in education and healthcare. It is not consumption that should be subsidized, but production. When the Nigerian government is paying for the subsidies, Nigerian citizens are paying, for after all, the government is not a person. United States subsidies to farmers is not that far off from the Malian GDP (I seemed to have heard Mr. Sanusi say that the sums were about equal). I looked up numbers on the 2011 Farm Subsidy Database and the Mali Country Report. 2.6 trillion ₦ (Naira) are sitting in pension funds, of which nothing is used to invest in infrastructure. 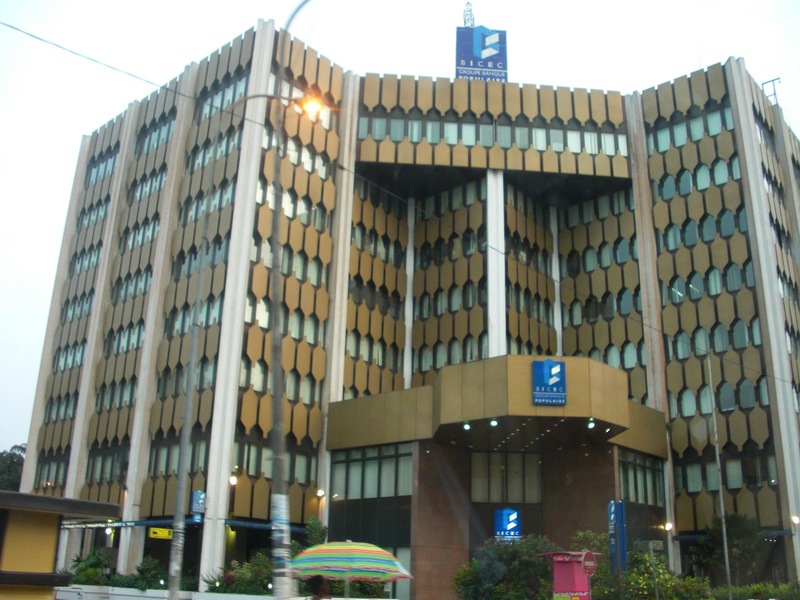 There is an urgent need for middle-tier banks to help small businesses grow. Currently there are only large banks for well-established companies, and micro-finance institutions for tiny enterprises. The middle market forms a large percentage of the GDP. Another subject stressed by Mr. Sanusi is the importance of women in Africa. Poverty cannot be addressed without taking women into account. For example, there are few women in senior positions in banking. A country must ensure that omen are in positions where policies are decided upon. Female empowerment has also been recently discussed in the New York Times "Green" blog, after the publication of a NY Times article on overpopulation in Africa. Mr. Sanusi listed three main needs in Sub-Saharan Africa: infrastructure, technical education, and transparency. Infrastructure includes good transportation, such as railroads, to transport goods across the continent; and Internet access in rural areas, which can greatly enhance access to healthcare. Infrastructure also includes decent electrical production; many Nigerians currently rely heavily on generators, which consume great quantities of fuel (see above: oil subsidies). It was an uplifting presentation for all those who are vested in Africa's long-term economic development. The continent has so much, not only in the area of raw materials (oil, metals, plant products, minerals...) but also in intellectual capital. If Africa flourishes, there will be no need for emigration to other countries in order to have a chance to make a decent livelihood. Last Monday was one of those days when my professional life joins my personal life and passions. I visited the Manhattanville Housing Development to see the Senior Center's art program, coordinated by Tesfaye Tessema, a NYCHA art consultant, who also happens to be an internationally recognized painter of Ethiopian origin. From there, I went on to King Towers, to see the children's art program that Tesfaye also teaches. The King Houses Community Center director, Dawn Foster, is of Jamaican origin, and her spouse is Egyptian. The Center's children are of a variety of origins: Jamaican, Senegalese, Puerto Rican, etc. By the time I was done, it was too late to return to the office, so my friend and I walked towards Park Avenue on 116th Street, looking for a place to have a cup of coffee. We found a Moroccan hookah restaurant, "The Kiosk." Instead of coffee, we had North African-style mint tea (made with green "gunpowder" tea and mint). Continuing north towards the MetroNorth Harlem station, I finally walked into a restaurant called "New Ivoire" that I'd catch a glimpse of from the train. It features the cuisine of Ivory Coast; the menu was interesting, but the decor was not too inspiring, and there seemed to be only men inside and outside of the restaurant--we didn't see a single woman. In one afternoon, how many African countries, from North to South, did I cover in one New York City neighborhood? on the occasion of the 9th Annual African Economic Forum - New York City: "Africa Reclaiming Africa"
I am not an African, but in the two years of my Peace Corps service in Cameroon, I had fallen in love with the African people. Like most naive twentysomethings who set out to go “change the world”, I was humbled by my time in Cameroon. The country changed me in more ways than one. I barely made a dent in changing my village, much less the world. I discovered Africa beyond the mainstream portrait of the continent. Africa is a massive place, and while civil wars, famines, and the like do still exist in parts of the continent, the Western media somehow rarely highlights the incredible growth that is taking place in this part of the world. In working with the Cameroonian people, they taught me the realities of African life. Western solutions to problems often do not align with these African realities. Western perceptions of Africans often belittle the incredible motivation, pride, and ingenuity that many Africans possess. I taught business classes to my villagers. Sure, a little accounting and marketing skills are helpful, but my villagers know the landscape of operating business in Cameroon far beyond my knowledge. At the end of the day, they know what works. Africans know what they need to fix their problems. That’s not to say that problems are easy to fix and foreigners should back off completely. But it is time for the world to give Africans a lot more credit and recognize their own power to develop their own countries. Articles like The Hopeful Continent: Africa Rising in The Economist gives me hope that the international community are finally recognizing the many positive aspects of African growth. But what will it take for Africa to reclaim its on power? And what is the role of the international community in this process? Columbia University’s 2012 African Economic Forum will address exactly these questions. The theme this year is Africa Reclaiming Africa: Changing the Rules of Engagement. I hope you will join us in this discussion and network with the Continent’s finest at our formal gala on April 13-14th, 2012. For more information and to register, visit http://www.aef2012.com. Wendy Lee spent 2 years in Batié, West Cameroon, as a Small Enterprise Development Peace Corps Volunteer (2008-2010).She writes about her time in Cameroon at http://roundtwocameroon.blogspot.com/.